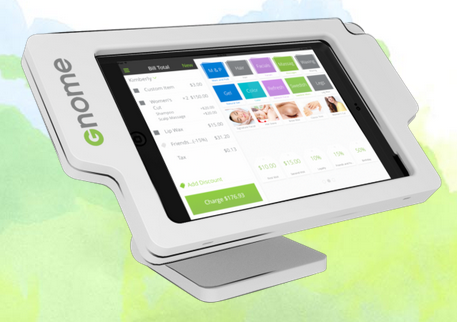 Gnomes aren’t just for gardens anymore, as Groupon has launched a new tablet-based solution, dubbed Gnome, which aims to help local merchants better run their businesses and connect with their customers. The solution works as an all-in-one cash register, enabling merchants to log cash transactions, accept credit and debit card payments, print or email receipts, calculate multiple tax rates, manage menu items, view transaction history and issue refunds. Gnome also comes with preloaded menus and inventory lists for the most popular types of local businesses, as well as enables merchants to add, scroll and search thousands of menu items. It is also important to note that merchants can automatically redeem Groupons via Bluetooth technology with Gnome. Plus, the solution will soon offer customer relationship management features, including the ability to customize marketing campaigns based on customer purchase history and preferences, share customer feedback via Facebook and Twitter and respond to customer service issues with email. In the future, Gnome will also be able to integrate with accounting software programs like QuickBooks and Xero. According to Groupon, the company will continue to expand Gnome’s capabilities to enable merchants to connect even further with the company’s mobile and online user base and suite of merchant solutions. Merchants can currently sign up for the service, which Groupon is rolling out to tens of thousands of merchants in the coming months. “Gnome is an important step toward our long-term mission of creating a world where merchants are constantly connected to the Groupon local commerce platform,” Lefkofsky said.